According to the Walt Disney World Company, the collectible souvenir pressed coins, also called elongated coins, started appearing at Walt Disney World in 1994. A pressed coin is created when a coin is squeezed between two rollers, one of which has an engraving on it's surface. Approximately, 2500 pounds of pressure is put on the coin as it is flattened. Currently, there are penny, dime and quarter pressed coin machines at Walt Disney World. These machines are primarily run electrically, but most of the new machines have been the four die hand crank variety. 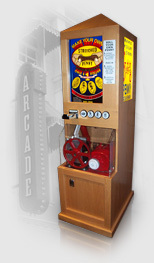 These pressed coin machines feature designs containing Disney characters, theme parks, attractions and special events. Each machine contains either one, three or four different designs. This site was created to promote the collecting of these pressed coins. 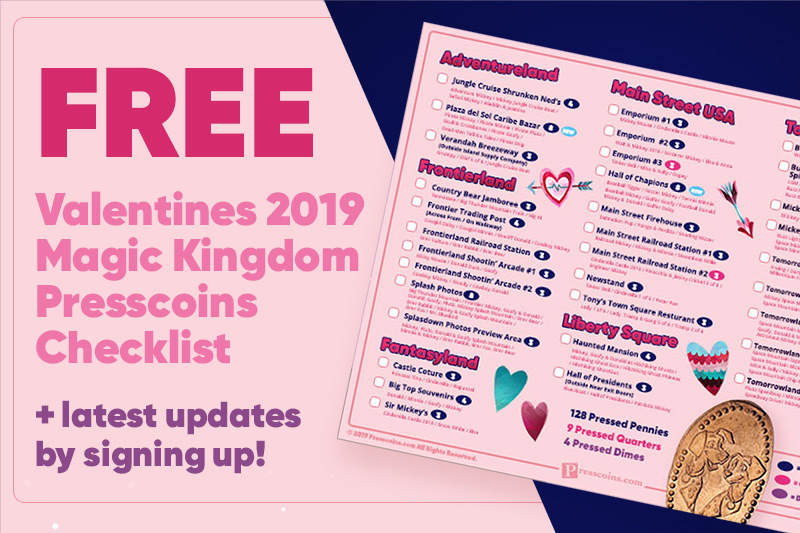 It contains listings and information about the various designs that are currently available or were available at Walt Disney World. Sorry, this feature requries Adobe Flash Player 9 (or higher).